Through the #GoOpen initiative, the U.S. Department of Education supports States, districts and educators using openly licensed educational materials to transform teaching and learning. 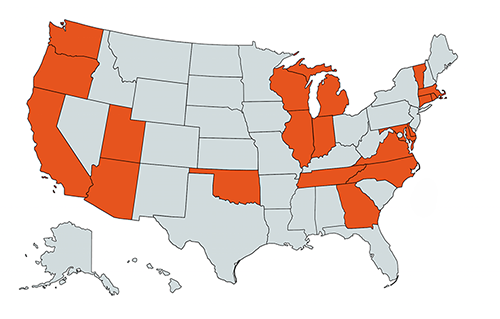 The #GoOpen initiative and the growing network of States, districts, and educators has not only provided a space for robust discussions about the merits of OER, but also supported broader dialogue and dissemination of information on the policies and practices that impact teaching, learning, and collaboration. #GoOpen State and district leaders are documenting and sharing new approaches to professional learning for teachers, and curating resources that offer students and teachers options for personalizing learning, and strategies to support curating, creating, adapting and sharing OER. Read our #GoOpen Exchange press release and our Open Education Symposium fact sheet for more on these commitments. Openly licensed educational resources have enormous potential to increase access to high-quality education opportunities in the United States. Switching to openly licensed educational materials has enabled school districts to repurpose funding typically spent on textbooks for other pressing needs, such as investing in the transition to digital learning. Visit our Open Education page to learn how resources that are openly licensed can benefit schools. If you would like to learn more about becoming a #GoOpen State, please email tech@ed.gov.